Should I buy an extended warranty on my new appliance? The advice I am giving may sound biased, coming from someone who has owned an appliance repair company for 23 years, but I believe that I have a unique perspective on this issue. From where I sit, extended warranty companies, or TPA’s (third party administrators), used to be great to work for. We had a partnership with them and the consumer to get their needs met in a timely and professional manner. However, times have changed. And I will tell you now that not all companies are all bad. What I am saying is to be careful. Read on . . . According to the Maryland County District Attorney, 80% of people who buy an extended service contract never use them. And generally, those who do use them, the cost of the repair may have been less than the extended warranty cost in the first place! Some things to consider: Often the extended warranty overlaps the manufacturer’s warranty (hidden information with some tricky wording). And according to Consumer Reports, often the credit card you used offers an extended warranty for products you buy with their card. So make sure you check out your credit card before you make that purchase. So when you do the math, it just isn’t such a good value! Why the big push to sell them anyway? Salespeople push these contracts so hard because the retailer pockets 50% or more on that contract price. Margins today are so small that often they make more on the contract than they did on the sale of the appliance. Now, comes my perspective: As I mentioned, “back in the day,” we worked with the TPA’s hand-in-hand to take care of our customers. Then, over time, things began to change. We were no longer partners; we were a liability. This, coupled with a difficult economy, and the warranty companies have changed their policies, to the detriment of the consumer and the repair companies alike. The consumer’s contracts have become more rigid, with requirements and policies hidden in the contract, that with one wrong step, they don’t cover your problem. You are at their mercy. A cutback in phone staff, or often no human staff at all to talk to, frustrates customers. The hamster wheel of “press one for bla bla bla,” drives you nuts. Slow service, bad service, have become a common complaint. Check out some warranty companies’ reviews online. Not very complimentary. The TPA’s have driven off many of the really good appliance repair companies because they generally hire the company that will work the cheapest. And you get what you pay for in that game! They guy with the Chevy and a wrench at your door, no uniform, and you don’t want to be alone in the house with this guy. But the warranty companies don’t care; they got to save a couple of bucks by hiring the cheap company. But just who suffers when they don’t do a good job, or they order parts for you and they never return? They won’t even return your call! There you are back on the hamster wheel with calling the warranty company to complain and then trying to get a different company to come out. So my message to you is to, one, do the math. If you absolutely feel you must buy that extended warranty, read the contract! Sales people may not be completely familiar with the terms of the contract, so ask questions. Have them show you the terms. And if that contact is only available to you RIGHT THAT MINUTE ONLY, why the pressure? As a consumer, beware the high-pressure sale. It’s a gamble. 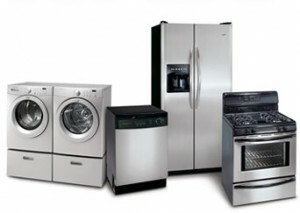 I believe that it is far less of a gamble to find a great appliance repair company that you trust to take care of you as only they know how. Forget the middleman! When a service company is bound by a an extended warranty contract, their ability to service you at the level they would like is highly restricted. Forget the extended warranty. Forge a relationship with a local, independent service company who will care about YOU. They will want to take the very best care of you and your family each and every time. A relationship is better than any faceless contract out there.